Requires LANforge 5.2.10 or later. 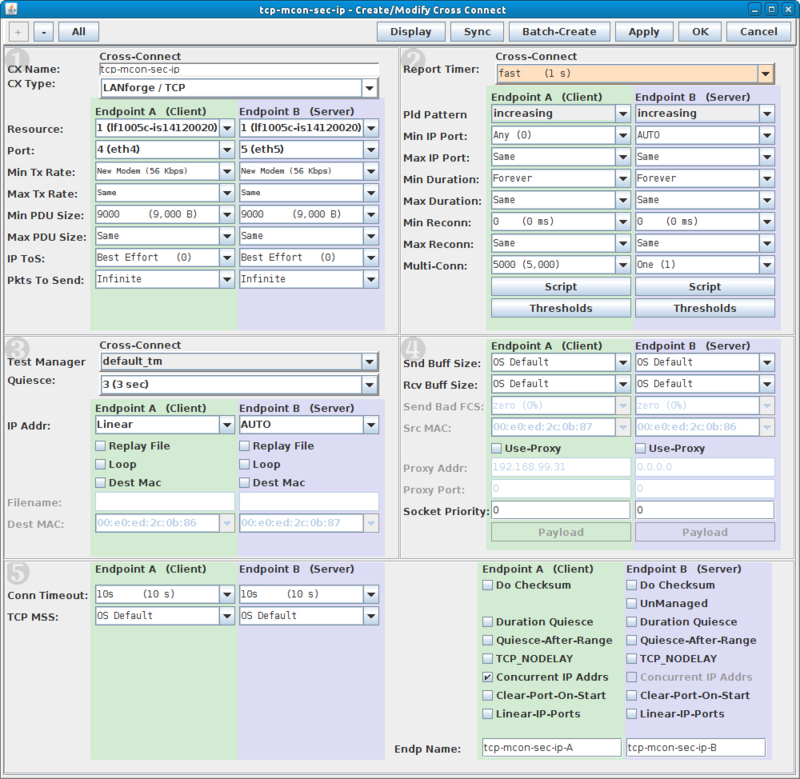 Use the new feature in 5.2.10 that lets 'multi-conn' Layer-3 TCP connections use a range of secondary IPs to quickly create 5000 stateful TCP/IP connections on different IP addresses. 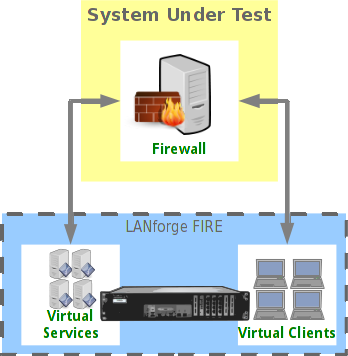 This example uses two 10G ports on a system similar to the LANforge CT503-MIX systems but the procedure should work on all properly licensed higher-end systems. A standard LANforge license only supports 1000 concurrent connections, contact your sales representative for additional licenses. This cookbook assumes basic familiarity with LANforge. Create 5000 secondary IP addresses on an ethernet port. 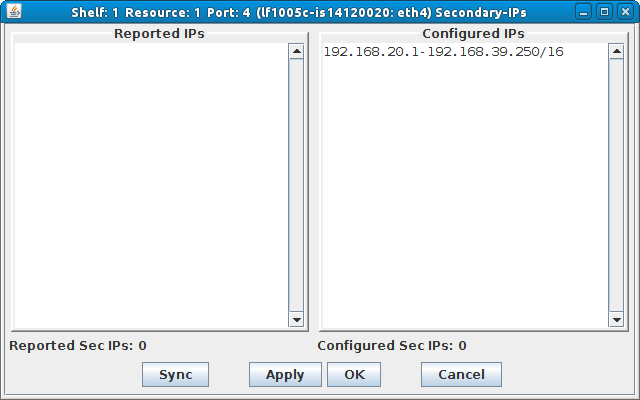 The IP address range should be on the same subnet as the primary IP address on this interface. Go to the Port Manager tab, select the client-side ethernet port and click Modify. 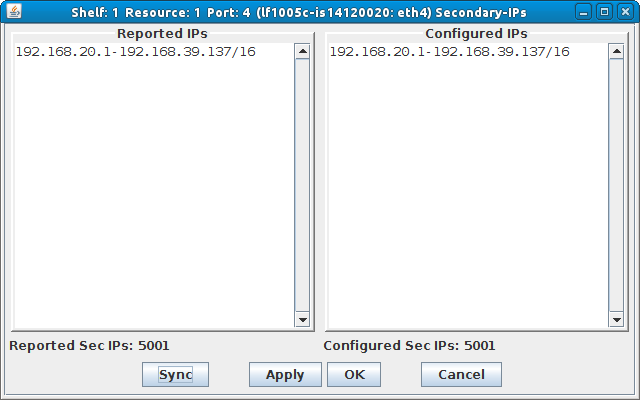 Ensure subnet mask is 255.255.0.0 or similar so we have plenty of room to add the 5000 secondary IPs on the subnet. Apply if changes were made. 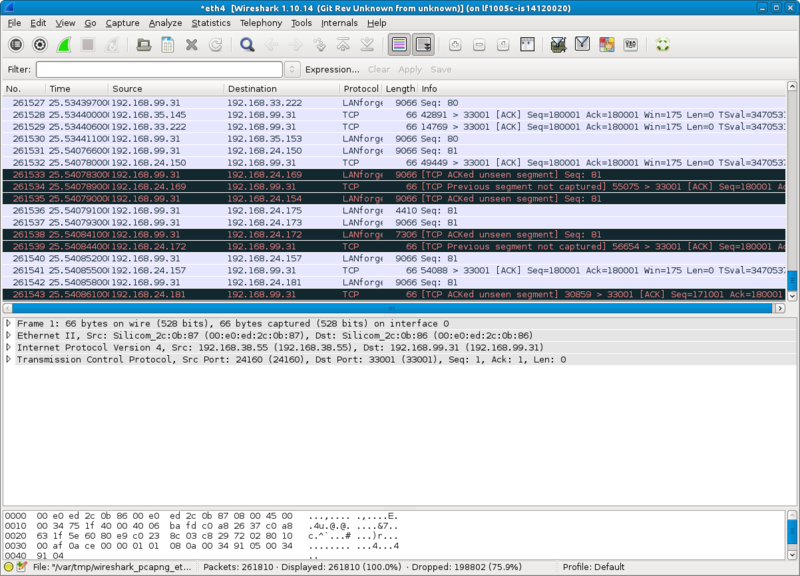 Click 'Sync' after a few minutes to make sure all of the new IP addresses were properly created. Make sure a second ethernet port on the LANforge is properly configured for the server-side of the network. In this case, we are using a network-emulator in bridge mode as device-under-test, so all IP addresses are on the same subnet. Create a Layer-3 TCP connection to utilize these 5000 secondary IPs and start the traffic. Go to the Layer-3 tab and click Create. Configure the CX Name, CX Type, Ports, and PDU Size in section 1. The port in the green section should be the one with the secondary IP Addresses. In section 2, configure Min IP Port in the green section, and Multi-Conn in both. In section 3, select 'Linear' for the IP Addr selection box in the green section. In section 5, select the Concurrent IP Addrs checkbox in the green section.